In 18th century Iceland the church passed a decree that children HAD to know how to read and write. [Likely so they could more easily incorporate the teachings of the church.] 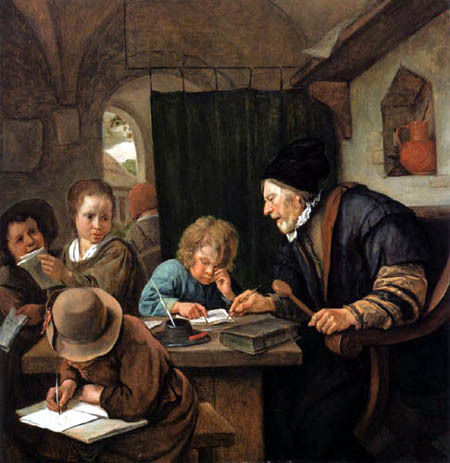 The local minister regularly made the rounds and tested the children, and if he found their education lacking, he could [and would] remove them from their parents and place them somewhere where their education was more attentively seen to. Not surprisingly, children DREADED those visits from the minister – and who can blame them? After all, I very much doubt that allowances were made for learning disorders such as dyslexia … and kids could always expect to be removed from their homes and sent somewhere else.